Mark Travis Stacy, age 48, of El Dorado Springs passed away at his home on Thursday afternoon, August 6, 2015. Mark was born November 21, 1966 in Humansville, Missouri. He was the son of James and Joyce Stacy. Mark graduated from Humansville High School and worked for the City of El Dorado Springs for twenty-seven years. Mark married Jodie (Pankey) Stacy on July 30, 1988. To their union three children were born. 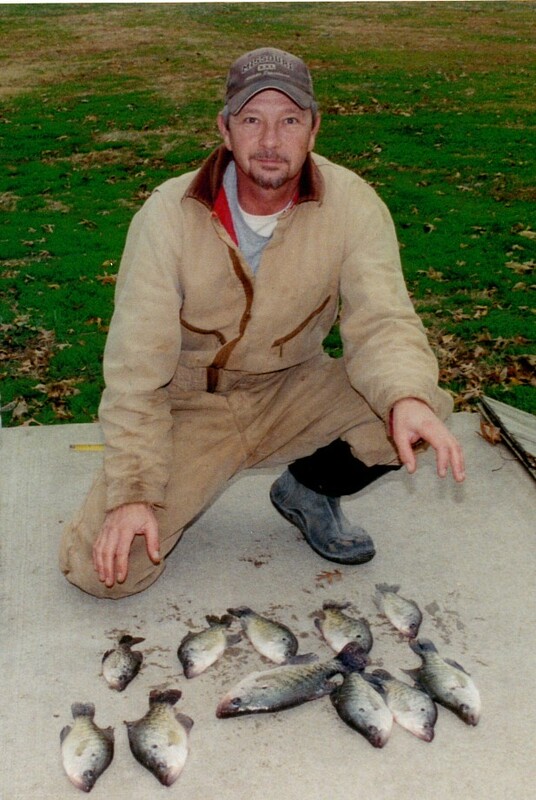 Mark loved to spend time with his family doing various activities such as fishing, hunting, hiking, and exploring the outdoors. His kids especially enjoyed going sledding and making igloos with him in the winter. Mark was a very hard-worker and spent many hours gardening, woodworking, and tending to his house and land. Mark was saved when he was 11 years old at a revival at Hickory Grove Missionary Baptist Church, where he later became a member. There he raised his family and enjoyed sitting under the sound of the gospel. Survivors include his wife, Jodie Stacy, and their children: Heather Gooden and husband Austin, Clinton Stacy, and Brooke Stacy all of El Dorado Springs, MO; sister in-law: Robin Mooney and husband Jon of El Dorado Springs, MO; parents James and Joyce Stacy of Humansville, MO; grandmother Lois Coffin of Humansville, MO; sisters: Shelly Tabone and husband Steve of Lebanon, MO, and Shelia Dukes and husband Dennis of Stockton, MO; brother-in-law Troy Pankey of Jasper, MO; nieces and nephews: Curtis, John, Shauna, Tasha, Lexie, Matthew, and Jude. Funeral services for Mark Stacy will be held on Monday, August 10, 2015, at 2:00 p.m. at Bland-Hackleman Chapel. Bro. Ralph Benham and Bro. Ron Pitts will officiate. Barry McCoy and Jeff Stacy will provide music. Burial will follow at Mound Cemetery under the direction of Bland-Hackleman Funeral Home. Pallbearers are: Clinton Stacy, Austin Gooden, Jon Mooney, Jonathon Schwalm, Dennis Dukes, Troy Pankey, Richard Watts, and John Burrus.